Rachel is an adjunct faculty member at Pardes. She is a freelance Jewish education consultant specializing in curriculum development for Israel and Holocaust education. Until 2008 she had been the Academic Director of Distance Learning programs at the JAFO Department of Education. Born in Israel, she had served in the I.D.F. as an officer in the central training base for women and was later, a member of the I.D.F. delegation to Niger (West Africa). She is a graduate of Haifa University with a Ph.D. in Jewish education. Rachel had a vast experience in Jewish education both in Israel and the Diaspora. As one of the founders and directors of a special program for soldiers from a disadvantaged background, she was responsible for creating the educational framework and training teachers for the implementation of the program. 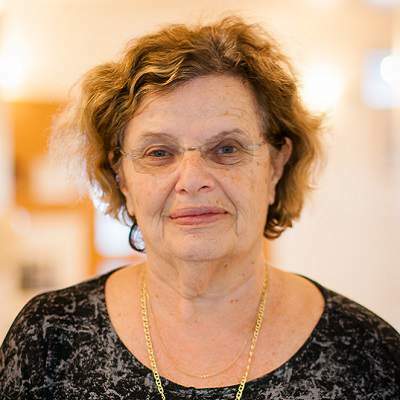 Since her first Shlichut to Canada where she was the head of JAFI delegation from (1985-1988) she is involved with Jewish education worldwide; creating and implementing in-service training programs for educators, writing educational materials, counseling and teaching. Rachel is familiar, through many visits, with the Jewish education communities of the US, Canada, Latin America and Europe. Since 1990 she has invested a lot of her time and energy in helping the emerging Jewish schools of Hungary.